The three basic research themes. 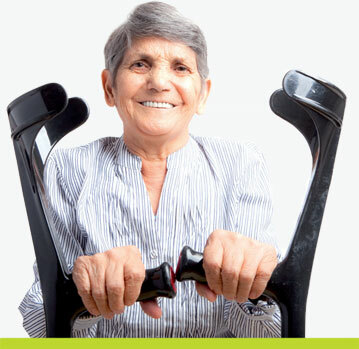 SPRINT will endeavour to improve mobility for mainly elderly people, on the basis of three themes. The patient is the most important in the development prices that leads to the best possible solution. By creating a platform for knowledge centres and companies, SPRINT will contribute to providing a stimulus to using the most recent information and techniques to arrive at innovative solutions. SPRINT will enable the intended improvement in mobility on the basis of three themes. Prevention: the development of training devices to improve balance, for use in the home environment. Prosthetics: creating intelligent prostheses and orthoses specifically for the patient.